A Year of Being Here: Stuart Kestenbaum: "April Prayer"
"April Prayer" by Stuart Kestenbaum, from Prayers & Run-On Sentences (Deerbrook Editions, 2007). Text as published on the publisher's website. 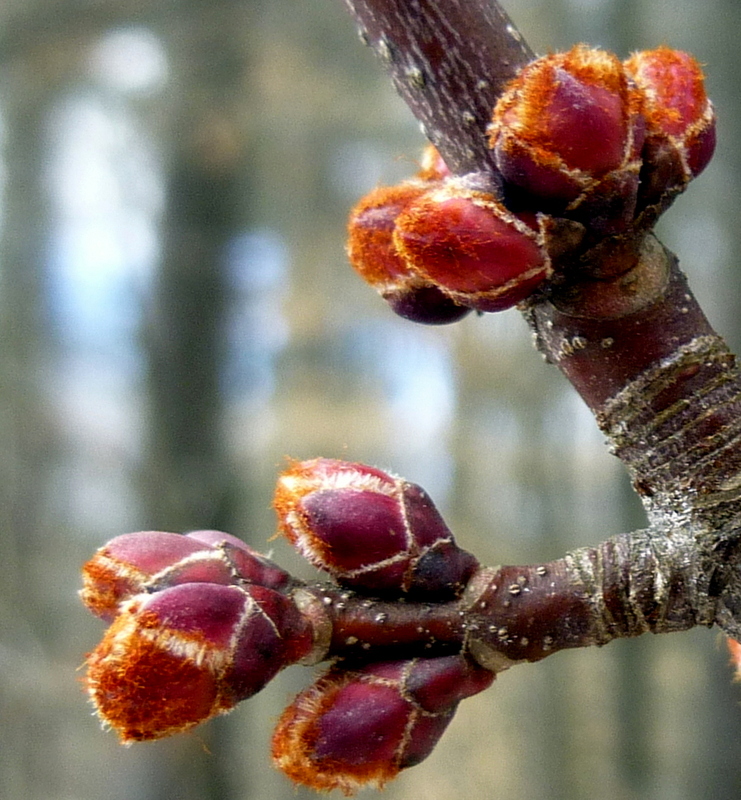 Art credit: Photograph of red maple buds taken by the blogger at New Hampshire Garden Solutions in late March, 2013. Caption: "The plum colored bud scales of red maples (Acer rubrum) have opened enough to let the tomato red flower buds begin warming in the sun. It won’t be too much longer before we see the bright red blossoms dangling from this tree’s branches." I like the limitation of the poem's images, which none-the-less draw us to a more subtle awareness.